The DRYVENT 100 is our best selling bathroom fan. It is designed for particularly demanding condensation control requirements at properties suffering from damp conditions, condensation and black mould. DRYVENT 100 continually extracts air on low speed to remove moisture laden air at source before it can condense on walls. This effectively reduces the risk of black mould developing throughout the property. 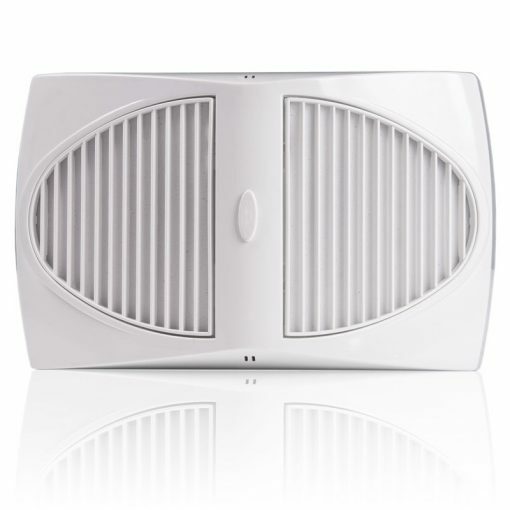 The internal AUTOSTAT smart humidistat continuously monitors the moisture levels in the bathroom air, and automatically triggers the fan into high speed when needed. When the AUTOSTAT detects the humidity level rising above acceptable levels, for example when the shower is on, it triggers the powerful high-speed fans until the moisture level in the air drops. 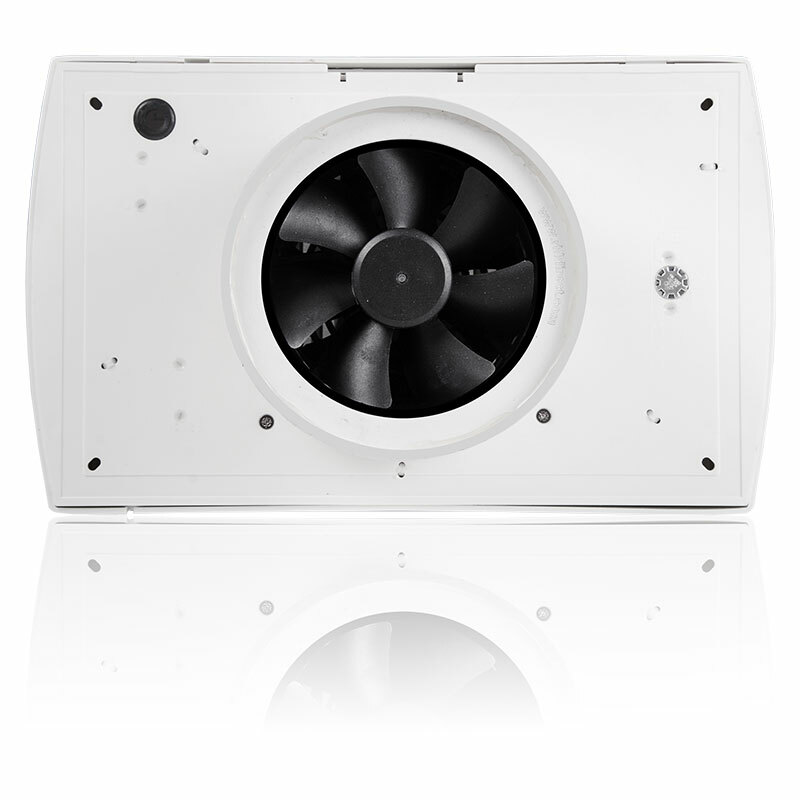 Thanks to the vibration-absorbing chassis and advanced Maglev motors the fan is very quiet in its operation, especially on low speed. BP – window mounted fan, comes with integral AUTOSTAT smart humidity controller, remote 12V transformer and window mountingkit. – Cost effective as it is inexpensive to run, low maintenance and has a long life. Polycarbonate ABS mix with fire retardant housing which provides a robust and high temperature resistant casing. MagLev fans are derived from the most advanced train technology in the world. We have integrated the science behind making the MagLev trains float above the rails and propel forward, into our complete range of domestic fans. The fan position should be as far as practical from the main source of air replacement. This is to avoid short-circuiting of the airflow. 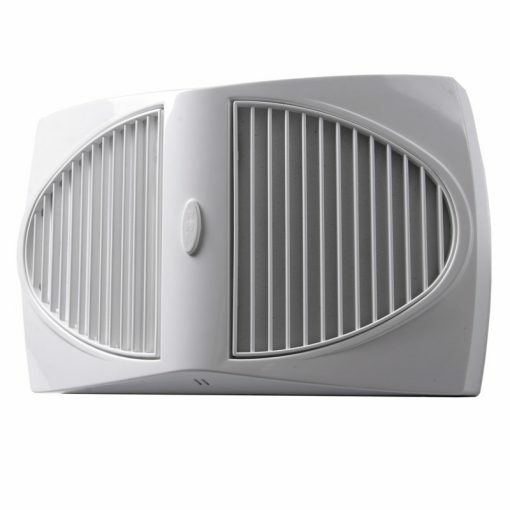 The fan can be placed on a wall or ceiling. The Dryvent fans have a 98mm spigot to fit onto a circular 100mm ducting system. 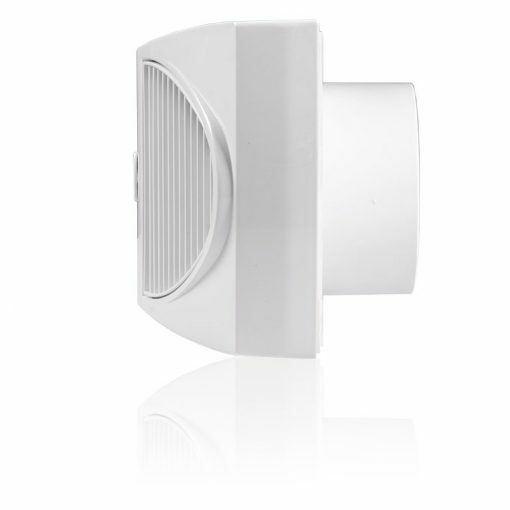 The Dryvent B is supplied with an internal Autostat and internal proportional over run timer It can be installed though a wall or onto an existing ducted system. The fan will include 2 MagLev motors of not more than 4 watts each extracting automatically at no less than 80m3/h.